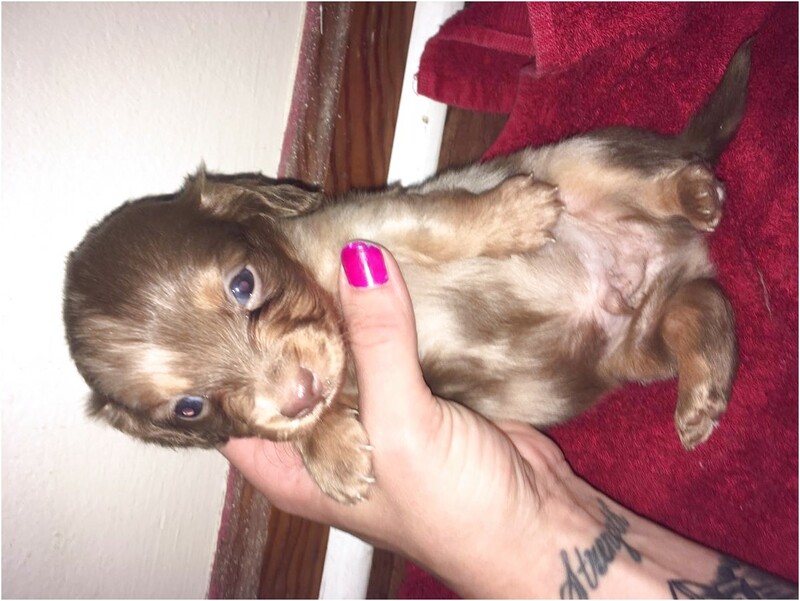 Location: Louisville, KY. We have five AKC smooth-coated miniature dachshunds . They are five weeks old. Will be ready for their new homes in one week. Louisville, Ky 40223. Additional Information: Irish Wolfhound puppies are here born 02/11/2018! We breed Irish Wolfhounds & Miniature Longhair Dachshunds .